Syracuse is becoming a hotspot for next-gen technology and development, with TCGplayer, an online marketplace focusing on collectible card gaming, drawing top-tier talent and helping make this Central New York city a growing center of tech innovation. 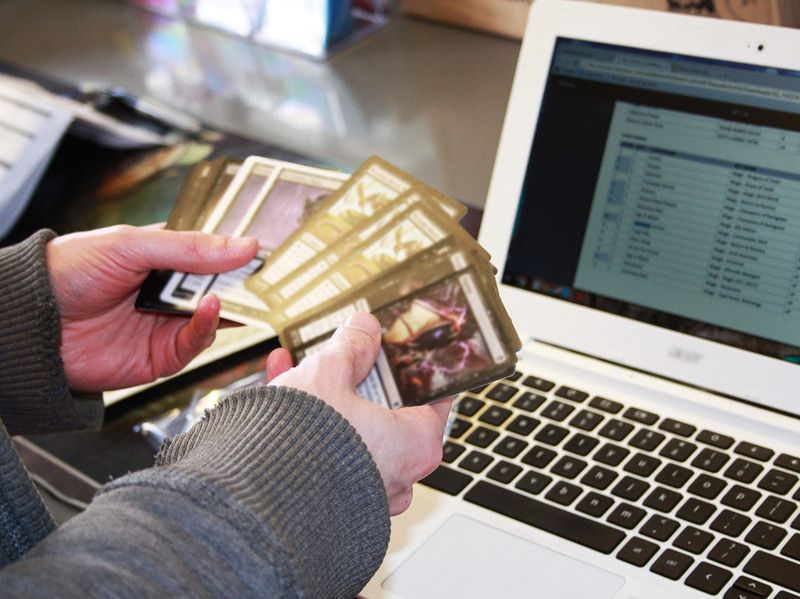 As an industry leader in e-commerce focusing on collectible card gaming — think “Magic: The Gathering,” “Pokémon” and “Yugioh” — TCGplayer has created a niche for gamers and collectors alike as the online marketplace for the $1 billion industry. In other words, if you’re looking to buy or sell a rare first edition Pokémon “Charizard” card and you’re in the know, chances are you’ll be skipping eBay and visiting TCGplayer to facilitate the transaction, from the sale to the shipment. In one of their latest innovations, TCGplayer’s gone global with TCGplayer Direct: allowing customers around the world to order from multiple sellers, with a single package and shipping fee. This past June, TCGplayer was recognized by Governor Andrew Cuomo as a leader in job creation efforts, technology investments and in attracting professional talent from outside the area to Syracuse. The New York State Society for Human Resource Management also recently ranked them among the top 50 companies to work for in New York State. That recognition comes eight years after founder and CEO Chedy Hampson started the company – working with friends from Syracuse with limited resources and connections. He credits the Syracuse region, and local and state economic development resources and support, for the company’s growth and success to-date. ​Hampson is working with area business leaders to build on his company’s success, and ensure the continued growth of Central New York as a tech leader. They’re looking to draw on the region’s educational assets in attracting and retaining talent. Like so many who call Syracuse home, Hampson believes the city and region as a whole offer an overall quality of life that’s also a selling point for the company. A video posted on the TCGplayer website serves as a love letter to the city, and when it comes to recruiting new talent to his business, Hampson feels that just spending some time in Syracuse can speak volumes. And Hampson’s sales pitch has clearly worked — the company currently employs over 120 hourly and salaried people both from New York and elsewhere (“Colorado, Florida, Washington state, Washington DC — all over the map,” Hampson says). At the heart of TCGplayer is the company’s five core values: “Motivate your Peers,” “A Quest for Knowledge,” “Go Beyond,” “Inspired by Passion” and “Community for All,” which Hampson credits his employees with helping establish, and likewise, maintain a company-wide “we’re all in this together” mentality. Hampson certainly sees those core values among the Central New York business community at large. “Coming from me, who was a complete and utter recluse, and who didn’t know anybody in the city, this region is unbelievably full of smart, resourceful people who are absolutely willing to help you, and New York State [economic] development councils and initiatives are major parts of that support as well,” Hampson says. “All you have to do is just want to be connected, and want access to those resources. While it does mean taking time away from working on your business and your initiatives in order to get those connections, they pay off long-term in such amazing ways towards your end goals." For more information on the tech and electronics industry in New York State, contact Mark Reynolds at Tech@esd.ny.gov or (315) 793-2651.